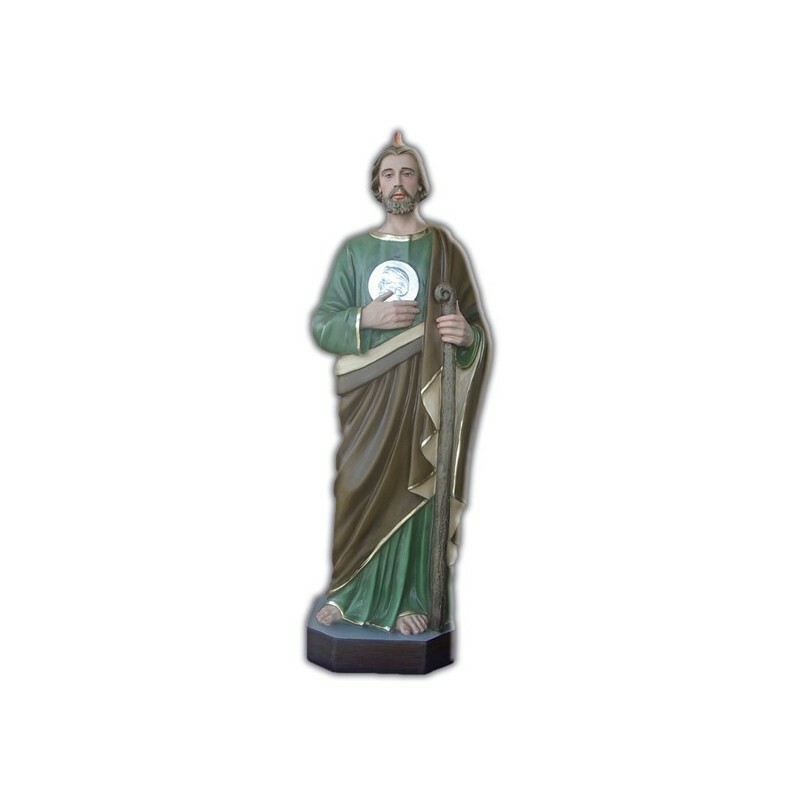 Statue of Saint Judas the Apostle of 85 cm. Statue of Saint Judas the Apostles, 85 cm of fiberglass, handmade in Italy. Saint Jude the Apostle is commemorated on the 28th of October. He was born in Galilea and he was one of the 12 Apostles. He was the brother of Saint James the Less, so he was related to Jesus. He brought the God’s word to Mesopotamia and then, with Saint Simon, to Persia, where he was martyrized. They are commemorated on the same day. 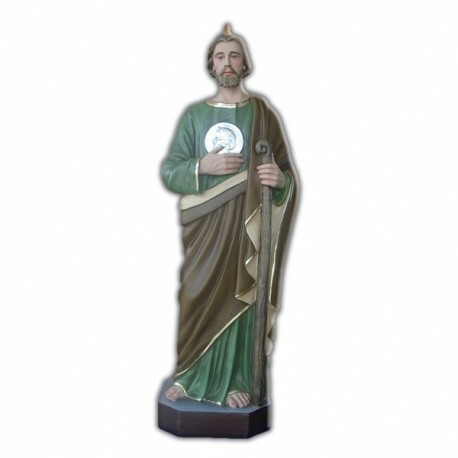 Saint Jude is considered the patron of the homeless cases. He is illustrated with old clothes, with the image of the Chris in hand and with a flame ahead.